Prime Minister Narendra Modi will address the nation on the 48th edition of his 'Mann Ki Baat' radio programme today. The program will be broadcast on the entire network of All India Radio and Doordarshan at 11 am. 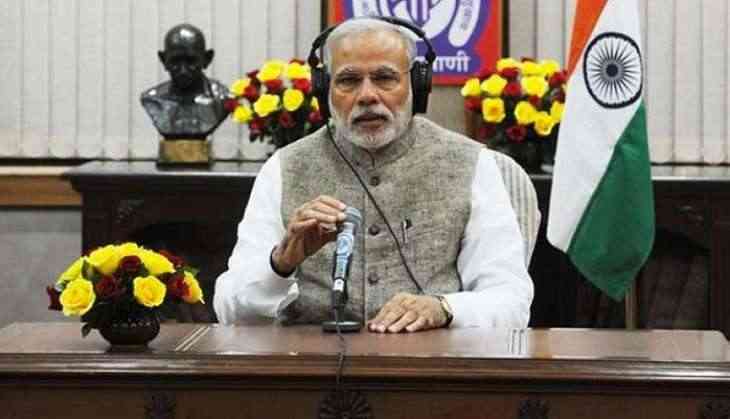 Apart from it, the monthly radio programme will also be streamed on the YouTube channels of the Prime Minister's Office, Information and Broadcasting Ministry, AIR and DD News and will be simultaneously broadcast on AIR's website - www.allindiaradio.gov.in. AIR will broadcast the programme in regional languages immediately after the Hindi broadcast. The regional language versions will also be repeated at 8 pm. In the 47th edition of 'Mann Ki Baat' last month, Prime Minister Modi assured justice to Muslim women through Triple Talaq Bill. He also expressed his sympathy with those affected by recent floods in Kerala. Besides that, the Prime Minister congratulated all players, who won medals for the country in the 18th edition of Asian Games in Indonesia last month.